The date and time has been set for Pompey’s FA Cup third-round tie at Norwich City. Kenny Jackett’s troops will face the Canaries on Saturday January 5 at 5.30pm. 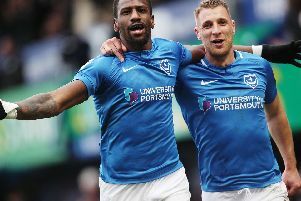 Pompey defeated Rochdale 1-0 in the last round to set up the fixture with the current Championship leaders. The Blues are to receive an away allocation of 2,700 seats. A date is to be announced in due course when tickets will go on sale.